You likely have heard the about Google+ and the infamous Google+1. It was introduced in April of 2011, and was dubbed a “Facebook killer”. It’s a small +1 button or icon that can be found on search results. You can also integrate it into your web pages (quite easily I might add). Once clicked upon it tells Google that you like that particular page or search listing. So it essentially gives Google your “vote” for a particular web page. Since Google revolves their business model on giving searchers the results that are “voted” best. You can imagine how this will help your web site to come up a bit higher than other web sites. And if that wasn’t good enough there’s more benefit. Each +1 is front page displayed on a Google user’s profile for all of their friends to see (which could be thousands). Good recommendations, as you might already know, are some of the best types of advertising. That makes these very positive posts. And can you guess what the best part is? It’s totally free. Since this is tied already into Google’s network of sites. Google receives this vote instantly. Other votes, like Facebook’s “like” button, must be discovered by Google’s search engine crawlers. These crawlers scan the web tirelessly looking for content, but if it doesn’t find your “like” or “vote” then your Google results can’t have any positive impact. Also it weights these likes or “votes” based on the pages they are on. So Google may not give someone’s Facebook “like” or Digg.com’s “digg” very much value at all. 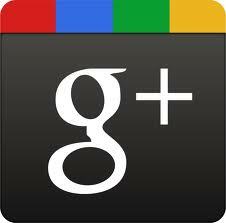 With Google+1 your rating is passed directly to Google for processing. One other thing to note is that it doesn’t appear as much of a social media or techy / nerdy installation. It has Google’s all ages and all industries feel. Unlike some of these networks out there that are associated with the tech world or younger generation like Foursquare, Gowalla, Redit and Digg. It has some clear advantages. Integrate Google’s Plus 1 in Your Site is extremely easy. You just copy and paste one line of code into the any page. Google does the rest. You will notice Google’s webmaster tools has reporting for your current +1 status. As with anything that relates to Google’s search results. They will be manipulated. There are web sites selling Google +1s. One site was selling 1000 +1s for $250. Claiming they are all real users and would be delivered in one week. Abuse by your competitors could give them an unfair advantage especially before Google works out good methods for identifying cheaters. So… What are you waiting for? As with all internet trends you must strike while the iron is hot! Get in and you will have an advantage. The later you get in the more you will have to play catch up. And no one likes to come in last place.